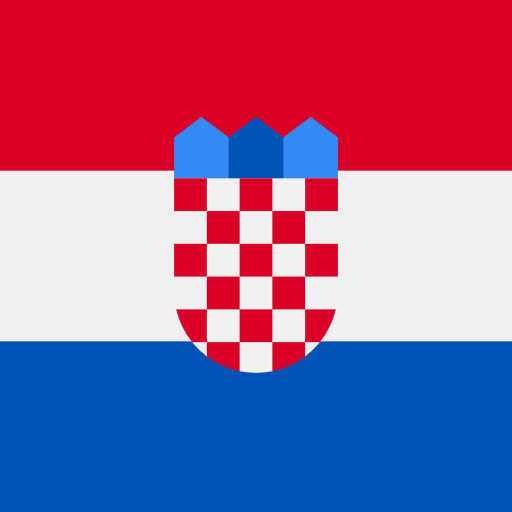 Valkanela is a luxury camping site located between the picturesque towns of Vrsar and Funtana in Croatia. It is peaceful and pretty, and is surrounded by rolling green hills and clear, blue sea. Valkanela is a campsite that offers well-equipped LUX-camp mobile homes that are comfortable and ideal for a family holiday, whether you choose to have a short break or even spend the entire summer at this beautiful resort. 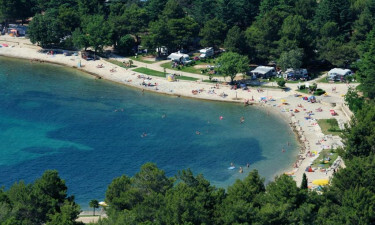 It has won 'Croatia's Best Campsite' for several years in a row, and it's easy to see why! Why should I camp at Valkanela? Valkanela luxury camping is located on a large bay, and it has a number of pebble beaches. The beaches in this area are naturally shaded by towering pine trees, allowing sun worshippers to easily cool down in the heat of the day. The beaches are dog-friendly and have showers available to wash sandy feet. They also have disabled access. Right by the beach are 3 modern pools, with crystal-clear water. There is a kid’s pool with slides and water jets, which will keep little ones entertained for hours on end! The coastline between Vrsar and Funtana is a favourite with tourists. It is lined with beautiful scenery; there are many small islands that can be seen from the shore, and inland lays lush countryside. Vrsar is a romantic town, with a lovely marina and plenty of shops and restaurants. It is fairly small and can be easily navigated, even with small children. There are many events in Vrsar throughout the year, such as the Fishermen's Festival, Porto Fest and live folk music concerts. Visitors are advised to climb to the highest point of the town, for the beautiful views across the quaint rooftops. There are lots of sports facilities on offer at Valkanela. Families can while away the hours with a spot of miniature golf or table tennis, and there are 4 clay tennis courts for fitness lovers. You can also rent a boat, a canoe, pedal boats and bicycles for a fun way to explore the coast and the local area. There are plenty of games and activities on offer, such as billiards and darts, trampolines and play areas. The kids can spend time in the hands of the friendly kids' club staff, making crafts and taking part in talent shows. There are several eateries at Valkanela that will make your camping holiday even more special – there is a grill, a pool restaurant, a fast food outlet and several bars. Valkanela has a small supermarket on the edge of the site that sells everything you could need for your holiday, from toiletries and household items to fresh fruit and vegetables, bread and soft drinks.